Do Police Need a Warrant to Search Automobiles Parked on Private Property? Earlier this year in Collins v. Virginia, the US Supreme Court (SCOTUS) addressed the issue of whether or not a police officer needs a warrant to search a vehicle parked on private property. Private property includes the area adjacent to a home and to which the activity of home life extends, including a driveway. This area is also known as “curtilage.” In an 8-1 decision, SCOTUS held that a police officer cannot enter the curtilage of a home to search a parked vehicle without a warrant. The Fourth Amendment provides that the “right of the people to be secure in their persons, houses, papers, and effects, against unreasonable searches and seizures, shall not be violated.” SCOTUS has held that there is an automobile exception to the Fourth Amendment in that the search of an automobile can be reasonable without a warrant because a vehicle can be moved out of reach while the police seek a warrant. As a result, police officers may search an automobile without a warrant so long as they have probable cause, or reasonable grounds, to do so. In this case, Collins v. Virginia, a police officer learned during the investigation of two traffic incidents involving an orange and black motorcycle that it was likely stolen and in the possession of an individual. The officer discovered photographs on the individual’s social media account of an orange and black motorcycle parked in the driveway of a house. He drove to the house and parked on the street. From there, he could see what appeared to be the motorcycle under a tarp. Without a search warrant, the officer walked up the driveway, removed the tarp, confirmed that the motorcycle was stolen by running the license plate and vehicle identification numbers, took a photograph of the motorcycle, and replaced the tarp. When the individual returned, the police officer arrested him. SCOTUS reversed the judgment of the Virginia Supreme Court which upheld the individual’s conviction. The Virginia Supreme Court had said that the search was proper because of the Fourth Amendment’s automobile exception. Under that framework, the Virginia Supreme Court held that the officer had probable cause to believe that the motorcycle was contraband, and therefore the warrantless search was justified. SCOTUS ruled that the application of the automobile exception was too far removed from the exception’s rationale. There is a distinct privacy interest in one’s home or curtilage that is not accounted for in the balance between the intrusion on an individual’s Fourth Amendment interest in his or her vehicle and the governmental interests in a timely search of that vehicle. The motorcycle was indeed in plain view, but it was parked on private property. Moreover, it was covered and unattended. There was no immediate threat that the motorcycle would be moved before police could obtain a warrant. Therefore, the Fourth Amendment afforded the individual the right to privacy, and the officer violated the individual’s constitutional right. Although warrantless searches in public places are valid, SCOTUS ruled that curtilage is not a public place and that its sanctity may not be violated just as the sanctity of the home may not be violated. Additionally, viewing inside curtilage from a lawful vantage point is not the same as the right to enter curtilage without a warrant for the purpose of conducting a search. The police officer saw inside the curtilage from a lawful vantage point on the street, but without a warrant, he did not have the right to enter the curtilage, search under the tarp, and photograph the motorcycle. 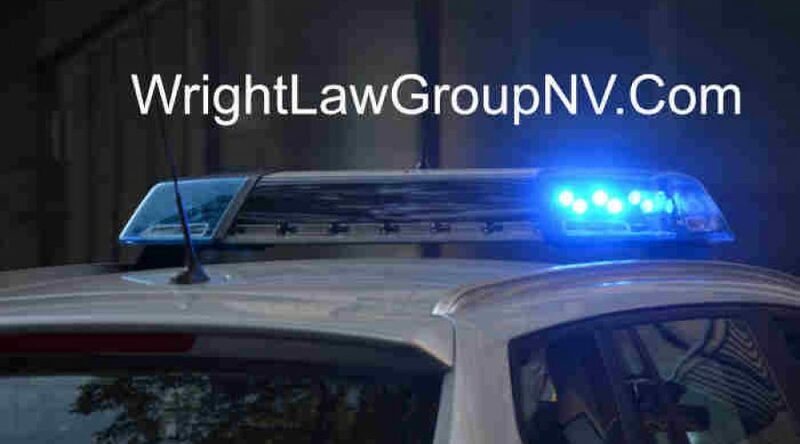 If you have questions about your constitutional right to privacy, or if you have been arrested following any search or seizure, call The Wright Law Group today. With over 25 years of experience in Criminal Law, The Wright Law Group, P.C. is well-equipped to assist you. Call us now at (702) 405-0001. Our consultations are always free and confidential.